mission is to be a globally recognized HR professional society that exists to develop and serve the HR professional, and advance and lead the HR profession. No small order! As a leader in the technical staffing industry, Brandywine Technology is an active member of the leadership team of the Delaware chapter of SHRM, which itself supports over 160 organizations and 400 members. Kim McColgan-Pierson, VP of Human Resources for Brandywine Technology, was recently re-elected for a second term to serve on the board of directors, as well as the Secretary of the Delaware State Council, an affiliate of SHRM. 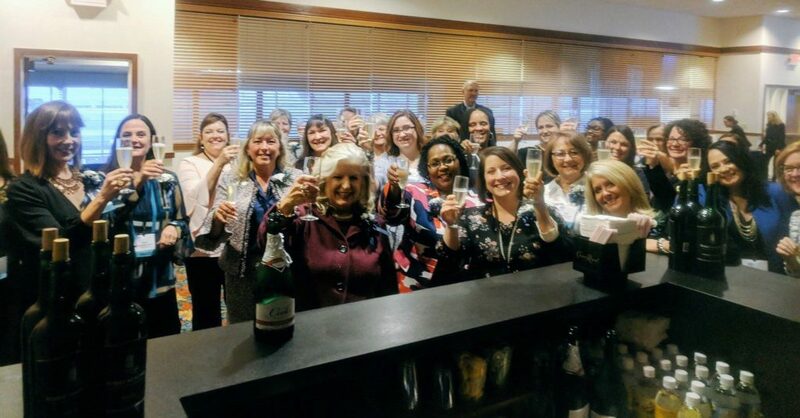 At the annual banquet, several Delaware SHRM leaders shared in a toast to usher in 2019. “We are excited to work side-by-side with some of the region’s top human resources leaders,” stated McColgan-Pierson. We are excited that Kim is a part of our team at Brandywine Technology! To learn more about Brandywine Technology, the region’s premier technical staffing company, call 302-656-6100, or email [email protected].